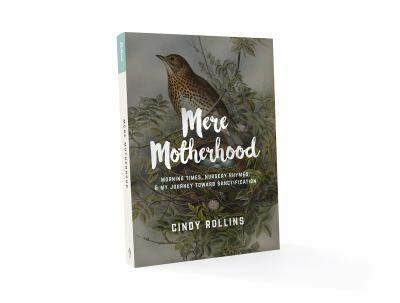 All home education begins with self-education — for mom. In our efforts to learn and grow as the teachers of our children one tool we can use is our own morning basket — a Mother’s Morning Basket. 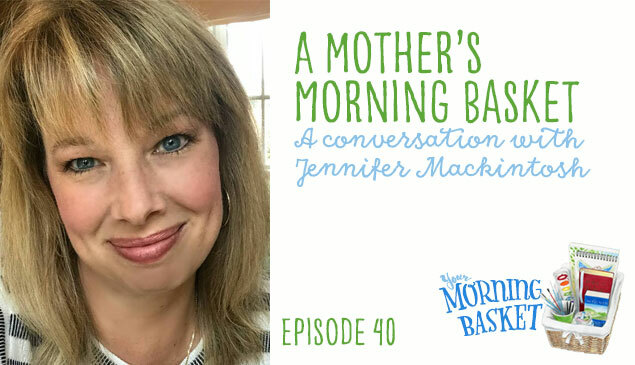 In this episode, Jen Mackintosh is back on the program to tell us all about her own Mother’s Morning Basket. We discuss how she plans it, what’s inside, and the keys to making it an enjoyable practice. 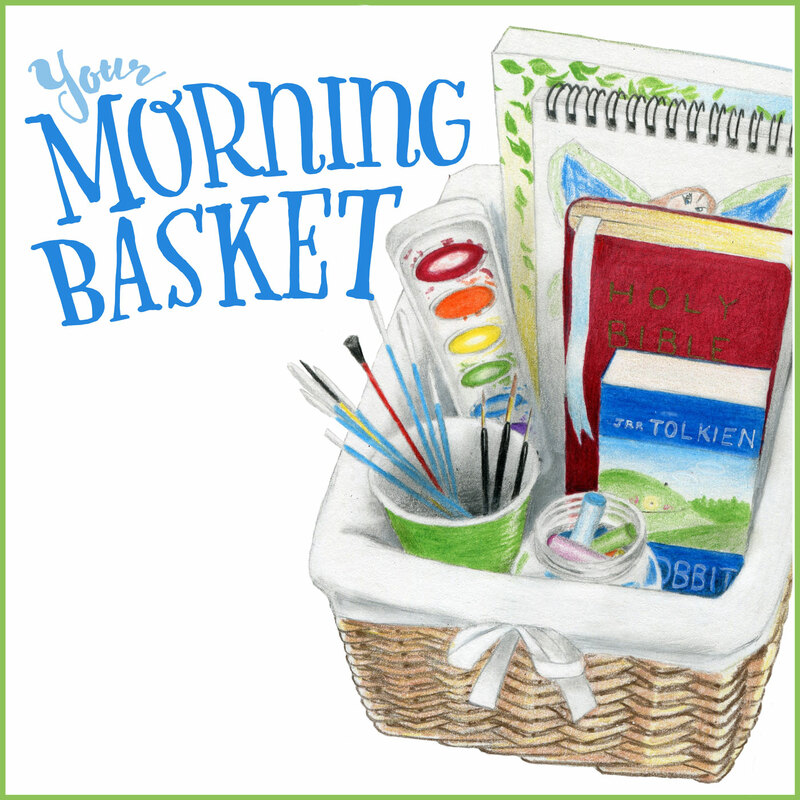 Click here to get the Basket Bonus for episode 40, the Mother’s Morning Basket Idea capture sheet. Keep all of your ideas for your Mother’s Morning Basket here. When I saw this pop up in my mailbox, I was pumped! 🙂 Just looking at the resource list makes me smile. Looking forward to later this evening when I can listen. Whoohoo!! Love this and the book list, yikes there goes my book budget! I’ve been following you both for quite a bit. Nice to hear you both together. I have had my own morning basket for a while. So important to do this. I have to be fed in order to feed others. Love the suggestions. I will be ordering The Privilege of Being a Woman soon. Not that I don’t have quite a stack as it is! This spoke to me. We moved here in July; joined a co-op in another town; and I just got a new (part time) job! Every time we have gotten into a new routine, something has changed and the routine must adapt. 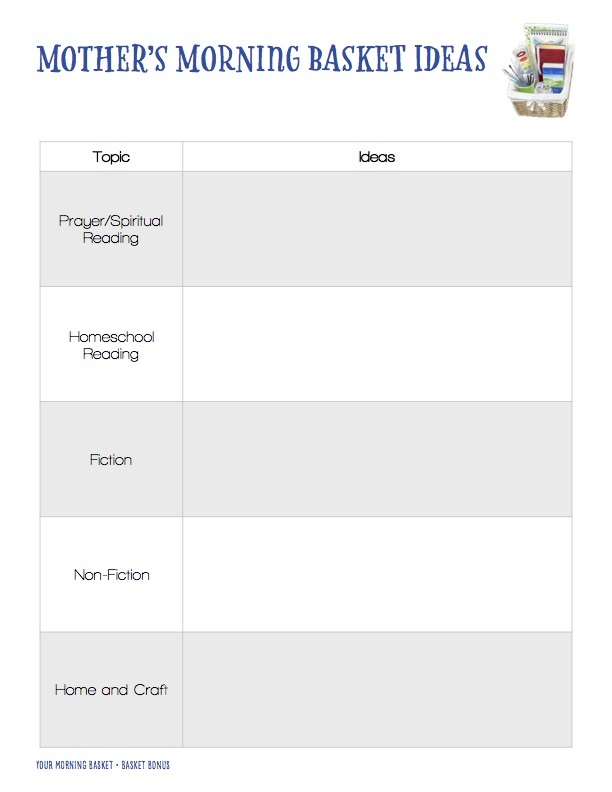 This episode spurred me on to brainstorm on how to make my morning quiet time work, because what worked last month is not going to work this month. Now, I am not resentful, but I can reimagine a way it can work. And, perhaps, it will be even better than before! Thanks Pam, Jen and the YMB team! What was the Charlotte Mason book that had hers and her mother’s notes in it?